Improve hand-eye coordination while learning an invaluable skill, catching! Place a beanbag on one end of the 27.67" inclined plane and stomp on the other end, your beanbag sails in the air for you to catch. A wonderful activity your child will practice again and again! 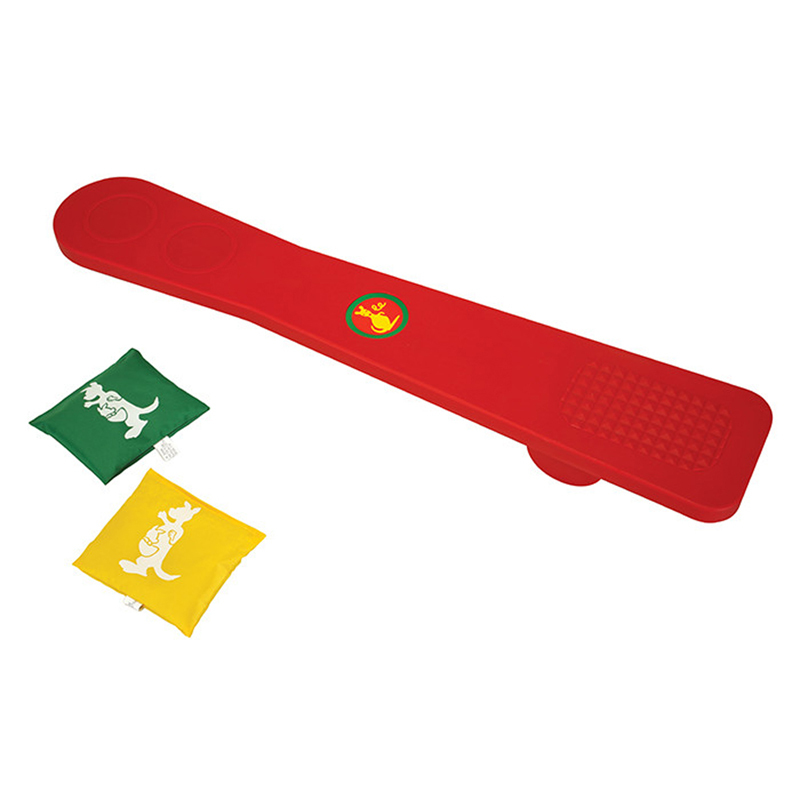 Includes 2 bean bags and a 28" plastic launching board. Bean bag colors may vary. Ages 2 and up.